There is nothing better than having a pet run around the house. There are cat people and dog people, others love fish, and some prefer birds. However, we think that there is only one pet that can hold the title of ‘The Best’ and that is a pet dinosaur. Back in the Stone Age everyone had a dinosaur running around their huts and caves. Even the Flinstones had their beloved Dino and now, so can you! 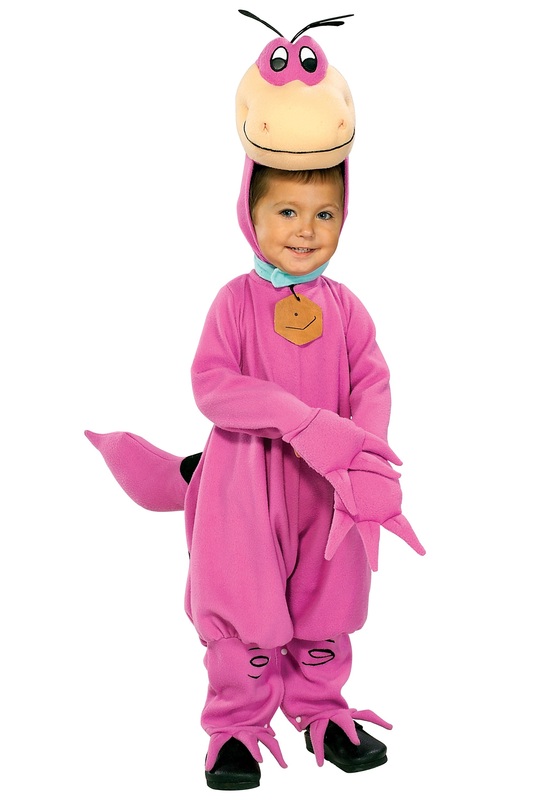 Dress your kiddo up in this adorable Dino Costume for children and you’ll have the cutest dinosaur in town. It will be perfect for Halloween and other costume parties or even just some good ole fashion playtime around the house. Your tiny tot can have the time of his life stomping all around your home and the rest of the neighborhood. All of your friends and neighbors will also love seeing this iconic character show up at their front door. Maybe your youngster will even get to double dip into a few candy bowls! This costume comes with everything your kiddo needs to complete his cartoony transformation. The jumpsuit comes with an attached tail and a hood with a stuffed Dino headpiece. There are also Dino gloves attached as well as covers for his little feet. 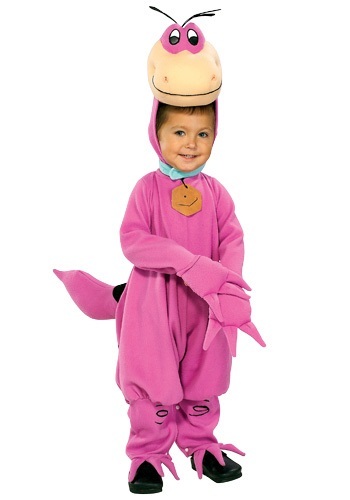 Don’t stop with this Kids Dino Costume, though. Let the whole family have some fun. Take a look at our Fred and Wilma costumes and the whole family can enjoy a Flinstone themed Halloween! Fit my 3 year old perfectly. Good quality and design. Very very happy!